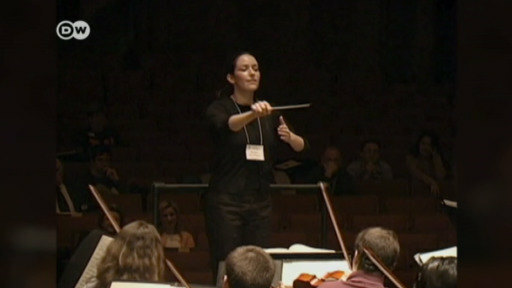 Mexican star conductor Alondra de la Parra has managed to break through the glass ceiling in a male-dominated field. A new documentary, co-produced by DW, shines a light on the path of her musical career and how she manages to balance work and family. #MusicaMaestra Alondra de la Parra conducts at the Opus Klassik award ceremony in Berlin and for 1.2 million TV viewers. Check out what happens on stage and backstage! "La Maestra: Alondra de la Parra" provides a dynamic and personal portrait of a Mexican maestra in the midst of a career upswing. Her kinetic energy and charisma seem like a force of nature.